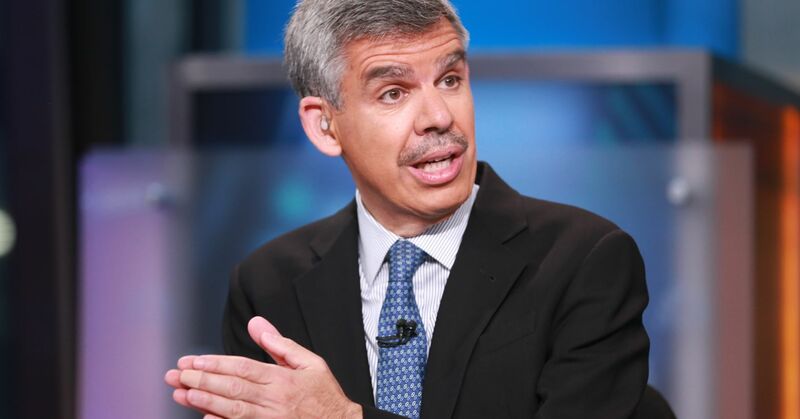 The stock market drop isn’t going to stop the Federal Reserve from normalizing interest rates, noted economist Mohamed El-Erian told CNBC on Wednesday. The Fed has raised its benchmark rate three times already this year, most recently at the end of September, a move which has helped send Treasury yields to multiyear highs in October. The central bank meets two more times this year and is expected to hike rates one more time. Concerns about rapidly rising interest rates have led to a selloff in the stock market. On Wednesday, the Dow Jones Industrial Average closed down more than 800 points — its worst drop since February. The S&P 500 dropped 3.3 percent and fell below its 50-day and 100-day moving averages, widely followed technical levels. The Nasdaq Composite plummeted 4 percent. “You’ve got three domestic engines revving up at the same time,” he said, pointing to fiscal spending, household income and business investment. He anticipates 3 percent economic growth this year and next, above what the International Monetary Fund forecast of 2.9 percent in 2018 and 2.7 percent to 2.5 percent in 2019. “That speaks to the key issue of divergence. When you get such divergent growth rates and policies, you start stretching markets,” he said, pointing to the “enormous” difference between the 10-year US Treasury and the 10-year German bund.